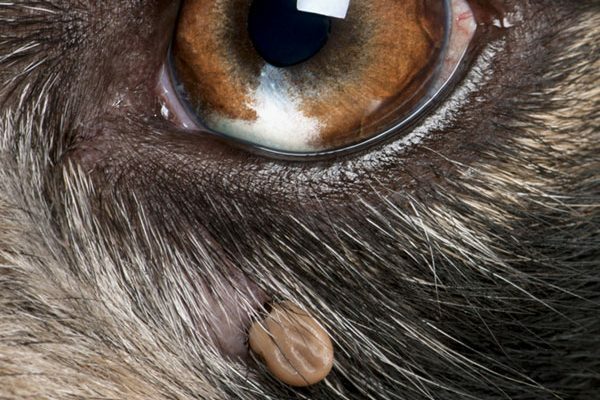 The post Puppy Diseases and Other Conditions to Worry About by Audrey Pavia appeared first on Dogster. Copying over entire articles infringes on copyright laws. You may not be aware of it, but all of these articles were assigned, contracted and paid for, so they aren’t considered public domain. However, we appreciate that you like the article and would love it if you continued sharing just the first paragraph of an article, then linking out to the rest of the piece on Dogster.com. Puppies are the epitome of youth. Full of vim and vigor, they exude joy and energy in everything they do. Unfortunately, it’s their very youth that makes them susceptible to certain conditions and puppy diseases that may be life-threatening. An immature immune system, lack of life experience and judgment, and bad genetics can all add up to trouble for puppies. By keeping an eye out for these five top conditions, you can do a lot to keep your young dog safe. Inform yourself about puppy diseases and conditions in order to keep your puppy safe. Photography ©goldyrocks | Getty Images. Because their immune systems haven’t yet matured, puppies are prone to infectious diseases that are easier for adult dogs to fight off. One of the most dangerous of these puppy diseases is parvovirus. Parvo causes vomiting and diarrhea, and can result in death in young dogs. Distemper is another dangerous infectious disease that can kill a puppy. Bordetella, also known as kennel cough, is highly contagious and causes coughing and other respiratory problems in pups. The best way to protect your puppy from these illnesses is through a regular vaccination program that generally begins at 6 weeks of age and continues until the pup is 16 weeks old. These vaccines can do a lot to protect your young dog from contracting one of these serious illnesses. You can also protect your puppy by keeping him away from unvaccinated dogs before the age of 17 weeks. Even though your pup has received his inoculations, keep him from being exposed to these diseases before his immune system has had a chance to mature. Ticks can alter a puppy’s health. Photography by Eric Isselee / Shutterstock. An assortment of parasites loves to infest puppies. Intestinal parasites, such as roundworms and hookworms, are present in just about every puppy and need to be removed with deworming medication. External parasites that can wreak havoc on a puppy’s health are fleas, ticks and the scabies that cause mange. Protect your puppy from fleas and ticks with a puppy-safe flea-and-tick preventive. At the first sign of mange — hair loss, scratching and scabby skin — take your puppy to the vet for medication. 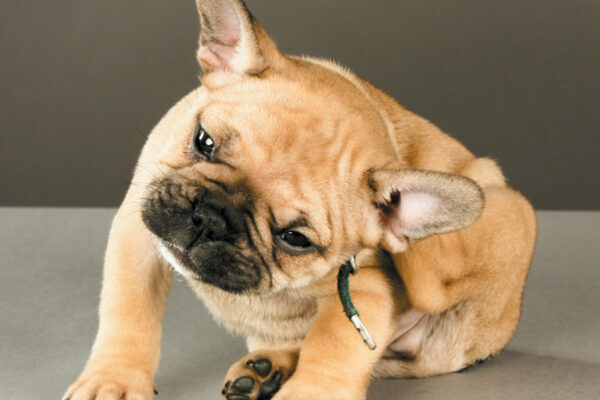 Some puppies are born with genetic health problems that need to be immediately addressed. One of the more common abnormalities in male puppies is one or both undescended testicles. The testicles that don’t drop down need to be surgically removed. Other abnormalities can include hip dysplasia, heart issues and umbilical hernias. Your veterinarian is the one to diagnose and treat these and other genetic problems. Keep an eye on your puppy at all times. Photography ©adogslifephoto | Getty Images. Puppies have a lot of energy and love to play, and that makes them especially prone to accidents. 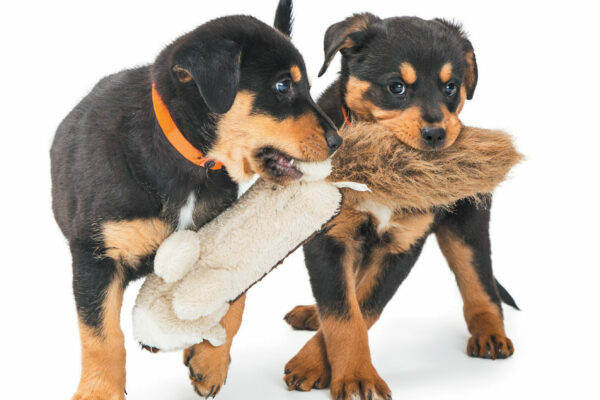 Fractured bones, scrapes and scratches and even broken teeth can be the result when puppies get into trouble. Keep a close eye on your pup to help prevent accidents. Should something happen, don’t hesitate to get your pup to a vet right away. Immediate treatment is crucial to keep the injury from becoming more serious. Puppies are among the mouthiest creatures on Earth. All they want to do is chew on stuff. Sometimes, that voracious chewing can result in a puppy swallowing something he shouldn’t. Vets have removed kids’ toys, pantyhose and even rocks from the stomachs of puppies who managed to ingest something inedible. If you suspect your puppy has swallowed something bad, or if you notice that he’s vomiting or is lethargic or unable to go the bathroom, get him to a veterinarian right away. When it comes to watching out for your puppy, your veterinarian is your best friend. Keep your vet in the loop. She will guide you on how to protect your puppy from disease, accidents and his own silly behavior. Thumbnail: Photography ©FatCamera | Getty Images. An award-winning writer and editor, Audrey Pavia is a former managing editor at Dog Fancy magazine and former senior editor of The AKC Gazette. She is the author of The Labrador Retriever Handbook (Barrons)and has written extensively on horses, as well as other pets. She shares her home in Norco, California, with two rescue dogs, Candy and Mookie. Editor’s note: This article appeared in Puppies, a special issue from Dogster magazine. Look for Puppies on a newsstand near you!